Augmented reality (AR) and virtual reality (VR) are two of the ways tech changes the way we look at the world. Whereas AR enhances our experience by superimposing digital images on our reality (think Pokémon Go), VR creates a completely different reality with a simulated environment. While both are typically used in technology for entertainment, they can also help improve industries such as manufacturing. Here are five ways augmented and virtual reality can benefit manufacturing industries. AR technology is already being used as a guide in assembly by overlaying virtual reality over real objects, and providing technicians with the necessary data to discern whether they have the correct parts by shape and number. This increases the productivity of the manufacturing process by assisting technicians and warehouse workers. For instance, a warehouse worker who received a new picklist order through AR completed the task 46 percent faster than when using the standard process, which relies on a paper list and item searches. As well, Airbus’ mixed reality application has reduced the time required to inspect the 60,000 – 80,000 brackets of its aircrafts from 3 weeks to 3 days. In addition to guiding technicians in the assembly line, AR technology can also improve the quality assurance process by providing technicians with visual cues for diagnoses. This enables them to assess the problem with a broken machine, for instance, without having to first open up the product or machines for repair—saving time and money. As well, if the item is linked to the internet, it’s possible for the technology to perform its own diagnostics, report when it’s time with service, or alert when something needs immediate attention. The use of AR for quality assurance has already been tested. In 2016, a Porsche assembly plant in Leipzig, Germany ran a pilot project where technicians used augmented reality as a tool in the quality assurance process. AR platform Vuforia also enables maintenance workers to see the status and conditions of a machine part in real-time, by scanning the object with ThingMarks labels. Workers can instantly find information, such as the temperature and pressure hovering around a pressure valve, using their smartphone or special goggles. Especially since the workplace will soon comprise of almost entirely millennials, companies are finding more innovative ways to appeal to this tech-savvy demographic. And what better way to improve on-boarding and training with virtual reality? In fact, 73 percent of millennials express an interest in VR technology. Manufacturing industries are already ahead of the curve, in which safety and manufacturing skills training was the second-most popular application of VR and augmented reality among U.S. manufacturers. 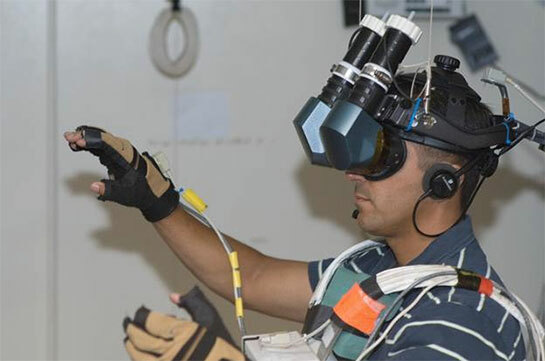 Virtual reality provides scalable hands on training without expensive and dangerous consequences. Virtual models have proven to be highly effective for training students for success in technical disciplines such as an electromechanical technician and plumbing. Students can learn complicated repairs on large, complex machinery using software such as PLC Logix 500 and 5000 or the Circuit Logix software. With virtual reality, you can expect to see even more advancements in learning. VR technology are not only valuable training tools, it can also increase workplace safety. For instance, Ford has already reported an injury reduction orate of 70 percent as a result of introducing VR in its manufacturing process. Especially in a manufacturing setting, virtual reality technology enables workers to prepare for real-life emergency situations that cannot be simulated with 2D written or video material. The lack of realism in traditional teaching procedures, which involves watching videos or reading print material, does not give workers adequate practice compared to virtual safety training. Augmented reality technology can also reduce risks and increase workplace safety by mapping out the environment and notifying if there’s any issues. For instance, aerospace manufacturer Polamer is using augmented reality to map out its plant, ensuring forklifts and other equipment have room to operate safely and efficiently. AR and VR technology are not only boosting productivity in the assembly line, they are also technological solutions to the skills gap in the manufacturing industries. As the manufacturing industries become increasingly more reliant on advanced technology, there’s a greater demand in high skilled workers in order to operate these machines. AR and VR technology can help bridge the skills gap by providing workers with real-time information, so they aren’t required to learn everything in advance. For example, engineers at at Lockheed Martin assembled F-35 aircrafts with AR glasses to help provide instructions on assembly. This new method reported to increase the engineers’ accuracy up to 96 percent, while working 30 percent faster. Contrary to popular belief, there’s a high demand of jobs in the manufacturing industries. The problem is not that many jobs have gone overseas, it’s that the jobs have gone high-tech but the workers have not. In fact, American manufacturers have actually added nearly a million jobs in the past seven years. The challenge in today’s modern manufacturing industry is to bridge the skills gap. While AR and VR technology can help train and onboard a new generation of workers in this industry, this is not enough. Emerging professionals need to acquire electro mechanical training, for instance, through online certificate programs in order to develop in demand skills for this modern industry.